Fun on the run! 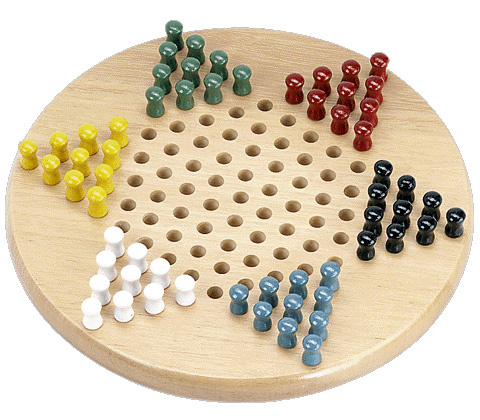 This travel chinese checkers set features a handsome oak finish board in a traditional round design. Features durable painted wooden pegs that fit securely in individual holes providing for playing stability during travel. The board measures 11" inches in diameter and is 1 inch tall. Its portable size make this set the ideal choice while traveling.